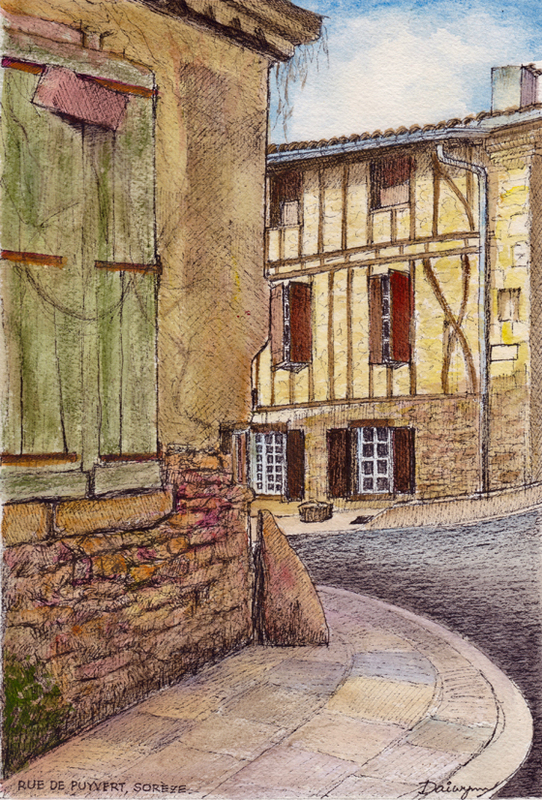 Ink and watercolour painting by Dai Wynn of rue de Puyvert in Sorèze, Midi-Pyrénées, France. Drawn and painted on 300gsm medium texture Arches cotton paper. 29.5 cm high by 21 cm wide by 0.1 cm deep approximately. A4 standard size.